After providing a few highlights, ChargedEVs finally released its full interview with NRG EVgo executives (Arun Banskota and Brendan Jones). The company stated that with over 350 DC fast chargers (CHAdeMO and CCS) it has more public DC fast charging sites in the US than anyone else, including Tesla. Freedom Stations are installed in 19 markets (26 expected by the end of this year), but over 200 chargers are installed in California, which makes NRG's network highly skewed towards California. Size of the network doubled over the past eight months. 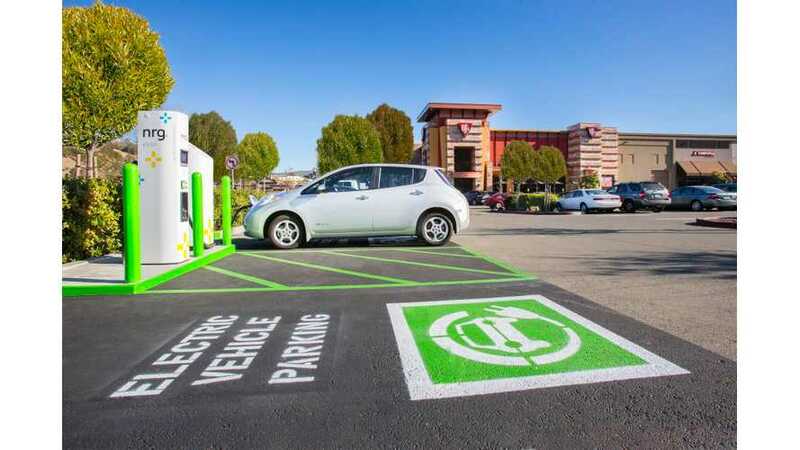 "EVgo has signed partnership agreements with 59 retail hosts all over the country, including Simon Properties, Macerich, Kimco, Whole Foods and Walgreens." 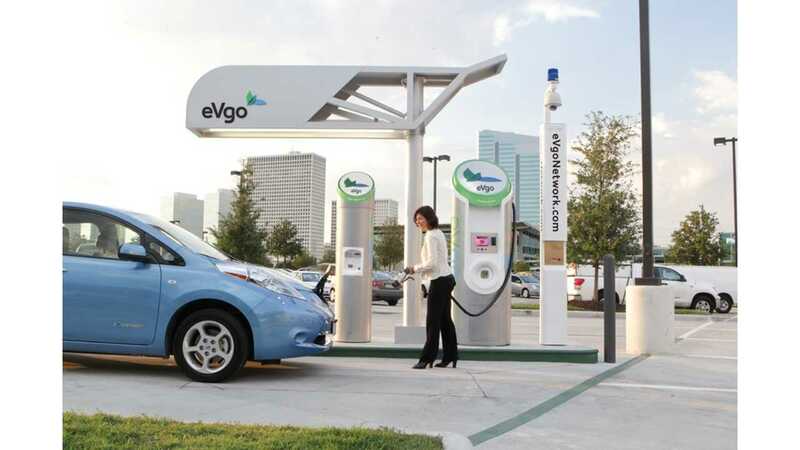 "Charged: EVgo has become one of the largest and fastest-growing DC fast charging networks in America. However, it seems that Tesla’s charging network receives most of the mainstream media attention. How do you think the two networks stack up? Arun Banskota: Tesla has more chargers, because they have as many as 10 chargers per location, but EVgo has more locations. You also need to keep in mind that the Tesla network exists to serve just one car brand, Tesla, while EVgo serves all car brands, including any Model S driver who wants to use the Level 2 stations or the CHAdeMO fast chargers, with an adapter made by Tesla." Power of those DC chargers is no less than 44 kW, but EVgo is ready to install in the future up to 100 kW chargers in place of current ones. Time for a quick look at the prices in Los Angeles Basin, where NRG EVgo has over 100 DC fast chargers. There are three plans. The 25-minutes DC charging under the Flex (without monthly fee) will cost $4.95 + $5 ($0.20 times 25 minutes), a total of nearly $10 for use (probably up to 15 kWh or over 60 miles of range in a Nissan LEAF). 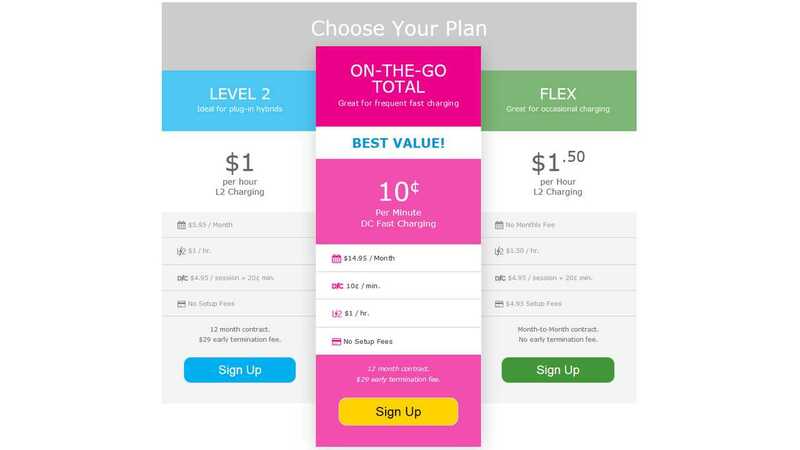 To recharge cheaper, you need to take On-The-Go and charge at least several times a month to overcome the $14.95 monthly fee (25 minutes at $0.10 is just $2.5). On-The-Go would be less expensive for anyone who gets, on average, more than two DC charges a month. At four 25-minute DC charges a month, it averages out to over $6 per use (15 kWh / 60 miles).